The MOE held a presentation of the achievements of the 2014 Elementary and Junior High School Digital Reading Project on January 22, 2015. The project was set up to promote an innovative digital reading curriculum and introduce new digital learning methods to elementary and junior high schools. It uses a learner-centered approach to give students core skills that are critical for the 21st century, the so-called 5-Cs: Communication, Collaboration, Complex problem-solving, Critical thinking, and Creativity. Since the MOE started promoting this project in 2014, three universities have established digital reading education resource centers to facilitate research, and develop new innovative learning activities and curricula. These are being tried out by elementary and junior high schools working in collaboration with the universities. Professional advisory groups then promoted the experimental models that proved very successful for use in other schools to stimulate students’ interest in learning and nurture their 5Cs abilities. "You can see how it makes the kids' eyes sparkle" said Chang Ju-ting (張如婷) a teacher at Nanmen Junior High School in Taipei. She was initially a little reluctant to participate in the project. "I would have said 'No' before the project actually began, but now, seven months later, I would say 'Yes!'" After putting the project into practice for a year, teachers were willing to change their former ways of teaching because of the positive effects they had witnessed, including their students' new enthusiasm about learning. National Central University established an education resource center for elementary schools and is promoting Readings for Tomorrow, a project using the new Modeled Sustained Silent Reading (MSSR) approach. This had been found to encourage students to cultivate new interest in reading and new reading habits and they read much more. A digital reading learning platform was used to recommend books, share books, and discuss what was being read. The principal of Bifeng Elementary School in Nantou County was in charge of promoting Reading for Tomorrow: he communicated directly with teachers and explained the benefits of this new reading project to the parents. National Taiwan Normal University has established an education resource center for junior high schools to use digital multi-media and cloud resources for classroom teaching, remedial classes, and for conducting evaluations. Ying-Ming Junior High School in Kaohsiung promoted innovative and interesting math-problem-solving activities as part of its digital reading project. It combined interesting and challenging questions related to daily life with interactive digital activities to help students to observe, think, and plan systematic problem-solving methods. 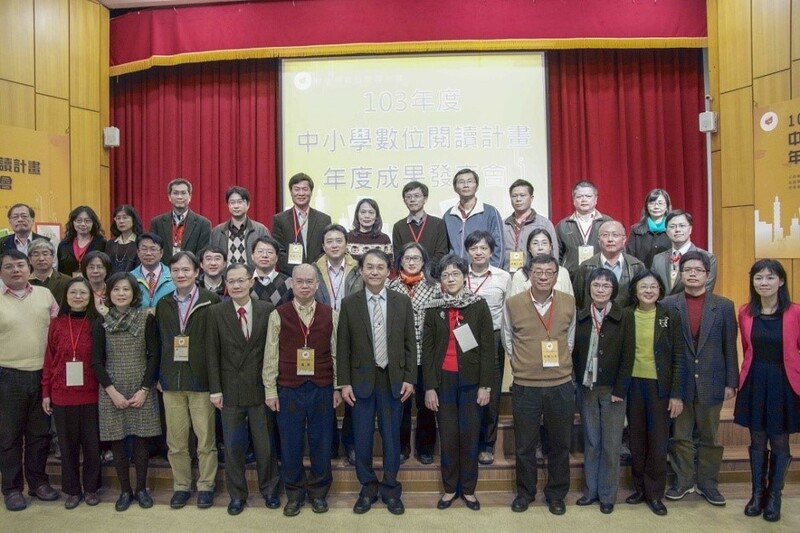 National Changhua University of Education implemented an educational resources program in senior high schools and vocational high schools, working with grade 12 students bridge the learning gap between grade 12 and university. Its focus was on English reading strategies for studying calculus, and flipped teaching and a MOOCs teaching method were used to encourage proactive learning. The Affiliated Industrial Vocational High School of NCUE was one of the schools involved. The grade 12 students could watch instructional clips via the teaching platform before class, and later discuss what they had learned in class. This project strengthened students’ communication abilities, encouraged them to express themselves, and enhanced their ability to develop new friendships while they were learning calculus.